I’m seventy years old. For the last sixty Januarys, I’ve heard one New Year’s message only: GET SKINNIER IN THE NEW YEAR. And for the last sixty years, every January, for thirty-one days, I’ve tried mightily and failed mightily to get skinnier. Why? Not because I don’t recognize January is ripe with promise and a “perfect” time to shed bad habits and adapt more healthy ones in order to see the needle on the scale slide southward. But for me, and many of us who suffer from disordered eating patterns, every New Year creates a culture of unbearable discontent. People with eating disorders already feel guilty enough about what they are doing to their bodies. And people like me, who have a long and entrenched history of bulimic behavior, find themselves plagued with anxiety due to expectations we can never live up to. These negative thought patterns only double down on the remorse and self-anger we are already feeling over the abuse we have imposed on our bodies. We become paralyzed – not energized – by eating related initiatives – and the risk of resuming or increasing our bingeing and purging only multiplies every January. Eating disorders in mid-life women and baby boomer women are not discussed and rarely acknowledged. Our secret is shameful and our disordered patterns of eating are shrouded in silence. And there are many of us. According to the International Journal of Eating Disorders, thirteen percent of women over the age of fifty engage in eating disordered behaviors. Are any of us satisfied with our bodies? Peek into any department store dressing room, put your ear to the door of each cubicle and heed the remarks women make when wiggling into dresses, bathing suits, jeans and Capri pants. Dismay. Dissatisfaction. Repulsion. My friends who work in retail sales say women of all ages are disgruntled in some way with their bodies. And that the vast majority of them yearn to be slimmer. I can shop without a pit in my stomach. I’m not invisible. I feel good about myself, my life, my personality. I know I look the best that I can. I just flourish – its empowering and freeing. How to break free of the chains of an eating disorder? How to have the inside and outside of ourselves be in sync? How to stop obsessively weighing ourselves? Counting calories? Labeling food “good” or “bad?” How to maintain a weight that induces contentment without resorting to extreme measures? Seek professional help: I couldn’t beat bulimia alone. No amount of self -scolding or will power could break my nightly binge and purge cycle. I needed to learn to listen to my body’s needs, desires and cues. It was not easy. I began to recognize the two kinds of hunger – physical and emotional – and not confuse the two. Emotional hunger is eating when we want to in response to various feelings – such as being tired, angry, lonely, or filled with yearning. Being mindful of the emotional triggers that lead to overeating reduces their power. Physical hunger is different. Our stomachs growl. Our guts feel empty. It’s hard to focus and concentrate. We can become lightheaded, anxious, and nauseous. These signs signal our bodies need sustenance and fuel. And when we internalize and practice the principles of intuitive eating, we give our bodies what is needed and desired; and unnatural and uncontrollable urges diminish. Embrace empowering role models: The Golden Globe Awards presentation resonated with powerful female and male voices decrying sexual harassment. Women of all ages and sizes wore black gowns on the red carpet sending a symbolic statement of solidarity with victims of sexual misconduct. The gowns were exquisite and many of the women were breathtakingly beautiful. But my most vivid memory of that night (except for Oprah’s speech) was of a woman with short gray pixie-like hair, dressed in a plain dark nondescript garment, with little or no apparent make-up. Her body was neither adorned nor bejeweled. And with little fanfare or exaggerated flourish, she walked up to the stage to accept an award. Many of the words she chose to utter were blipped out. No matter. FRANCES McDORMAND was a stand-out. Why was I so taken by Frances? Besides from her formidable talent, she was a beaming example of a woman comfortable in her own skin. Comfortable without pretense. Comfortable with her age. Her shape. Her looks. She oozed authenticity. You could just feel that she was in sync with herself. Loosen the grip on the scale: the needle on the scale does not reflect your self-worth. 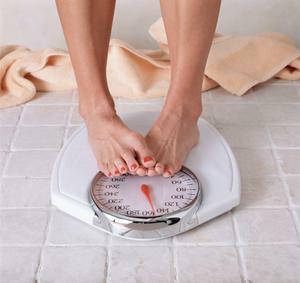 Women with disordered eating patterns have a disconnect from their self and others and often allow the scale to determine their mood, their attitudes, their life direction. They are often high achieving perfectionists who judge themselves harshly. They often eat to fill up the emptiness resulting from life’s challenges: aging, loss of relevancy, empty nest, divorce, widowhood, retirement, care giving, financial difficulties, or death of loved ones. Stop coping. Start feeling: These women – when confronted with a painful situation – are most likely to mindlessly and automatically bounce back. They go right into coping mode, without moving through their emotions so that positive adaption occurs. And they are not on the inside what they so confidently and assuredly “appear” to be on the outside. I should know. For sixty-six years, my mantra was “Keep Coping.” My life appeared to be pretty “perfect,” but my insides were a churning mass of resentments, frustration and unresolved conflicts. My nightly bingeing and purging allowed me to release enough pressure so that I could get up the next morning and start “coping” all over again. Build a New Skill Set: Beating an eating disorder involves cultivating a purposeful life. Eradicating the binge and purge cycle meant finding new ways to self-soothe and new outlets of enjoyment. I re-discovered the joy of knitting. I began practicing yoga. I went back to reading books. I practiced finding other ways to diffuse anger and disappointment and irritation rather than through inflicting self-punishment. And once I realized that my family and friends loved me not because I was perfect but in spite of my imperfections, I began to appreciate and value the supportive environment surrounding me. Iris Ruth Pastor is a slice-of-life storyteller, author, podcaster, blogger and speaker whose mantra is “Preserving Your Bloom” – encouraging women to use their talents and resources to be the best they can be. While doing so, Iris tries not to be judgmental, whiney, overly sensitive and overwhelmed. Sometimes she even succeeds. Her mantra is “Preserving Your Bloom” – encouraging people to use their talents and resources to be the best they can be. She shares her forty-six year-long battle with bulimia in her newest book: The Secret Life of a Weight-Obsessed Woman.